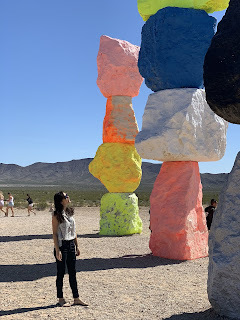 I didn’t get to visit the Seven Magic Mountains on my last trip to Las Vegas so I made sure to visit this time around. The public art exhibition of seven colorful stacked boulders by Swiss artist Ugo Rondinone opened in 2016 and was originally scheduled to be on view for 2 years. Due to its incredible success (it was all over IG), viewing has been extended until the end of 2021. 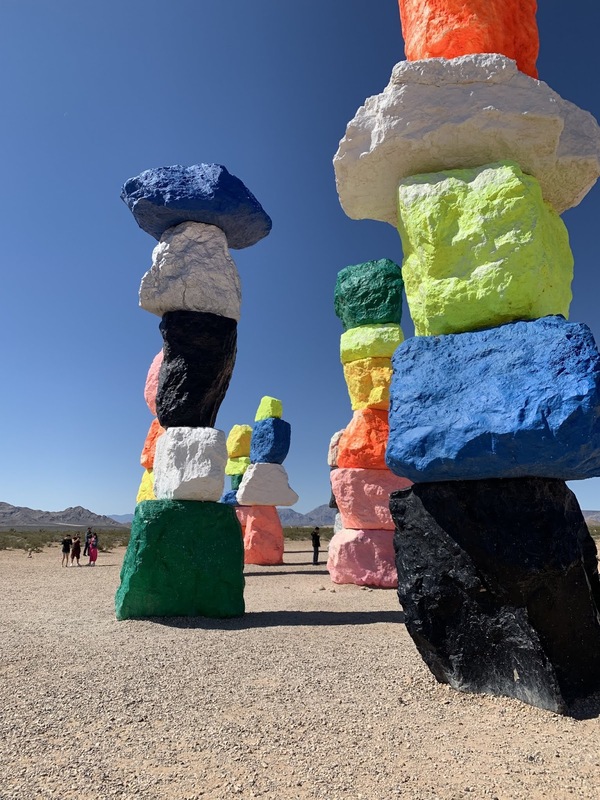 The Seven Magic Mountains exhibit is located in the middle of the dessert, but very easy to reach. It’s located just about 30 minutes by car from the Las Vegas Strip and there is even parking! You can reach the exhibit on foot, but the road is unpaved so I’d recommend shoes. Admission is free and open 24/7. It’s not for everyone, but I loved it. Some of the rock towers are over 30 feet high and I loved witnessing those fantastic pops of color against the stark desert. Some of the bright towers are over 30 feet tall!